Pioneering picture and video service Snapchat is taking a new self-contained European headquarters in Soho – the company’s first London office presence. The £10bn business – one of the wunderkinds of Silicon Valley’s start-up world – has agreed to lease the whole of 7-11 Lexington Street, where we act on behalf of our landlord client Columbia Threadneedle. Snapchat has taken a 10-year lease on the 12,570 sq ft building, which is arranged over four floors and has been comprehensively refurbished by our client. 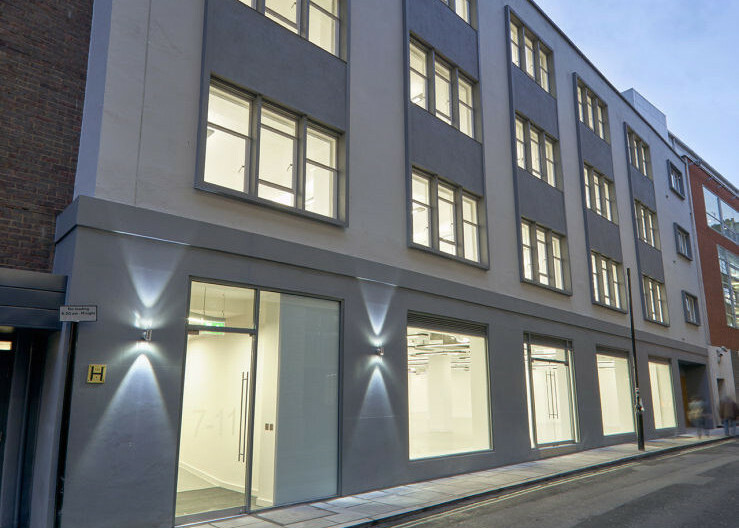 Quoting rents at the scheme were £925,000 per annum for the office, and the deal, which completed this week, includes the provision of a two-bedroom apartment for the incoming tenant in addition. It marks Snapchat’s first European office acquisition and highlights the enduring appeal of Soho as a destination for businesses in the media and technology sectors, despite historic lows in office availability throughout the West End. Nearby occupiers include Sony, M&C Saatchi, Apple and Universal. Elsewhere in Soho, we are acting on two brand new developments, on behalf of our long-standing client Great Portland Estates. At 30 Broadwick Street, we’re advising on a 92,000 sq ft newly constructed building on behalf of our client Great Portland Estates next year. They’ll be creating retail and restaurant space at ground level, and 78,473 sq ft of offices on the ground and upper floors. It’s a corner block previously occupied by a building named St Lawrence House with views over both Broadwick and Livonia Street. We’ll also have 45,000 sq ft of beautiful new-build space to offer to the market at 1 Dean Street from 2017. For more information contact Jamie Shuttle or Andrew Okin on 020 7009 2300.